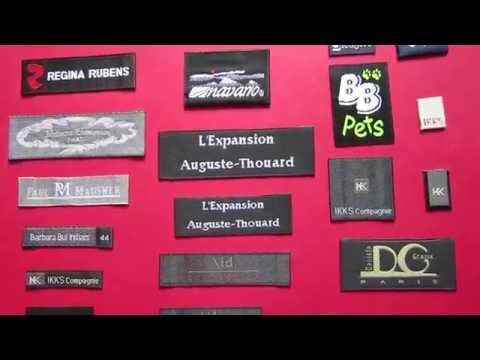 Looking for a sew-in woven label to fit for any style of clothing? 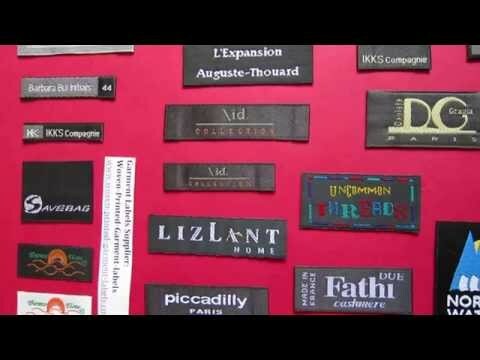 Woven Damask, high-definition labels are the best detail woven and soft clothing labels; they can be used for almost any style of clothing. 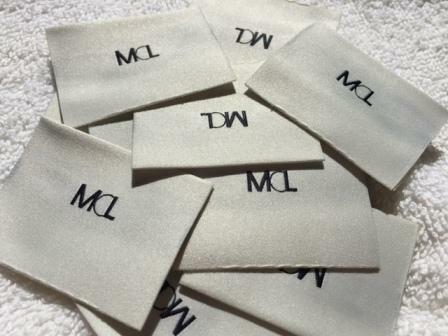 Damask woven label can achieves the most detailed logo and writing weaving images; it is a matte finish label, has a smooth soft texture. 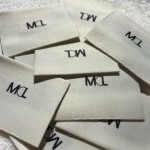 What are the different types of Sew In Woven Labels? 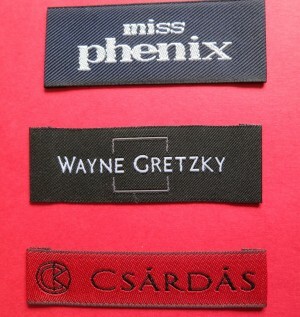 There are three different types of weaving techniques to produce woven labels: plain weave, twill weave, and satin weave. 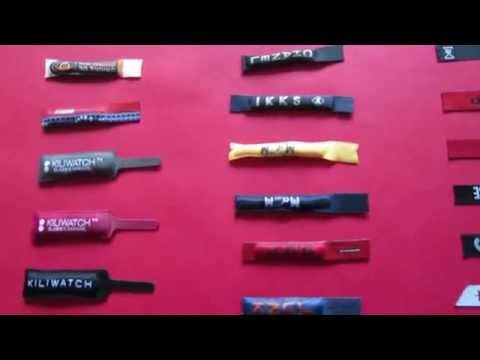 The weaving loom creates these three types of sew-in woven fabrics by crossing weave the warp and weft threads to produce different fabric finishes. 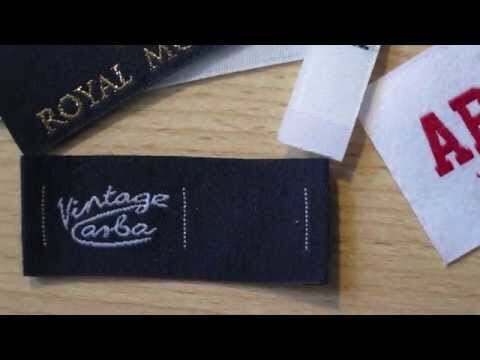 Sew-in woven fabric labels consist of warp threads (the main structure of woven fabric label) and weft threads (the threads weave through the warp threads to create different kinds of label design). 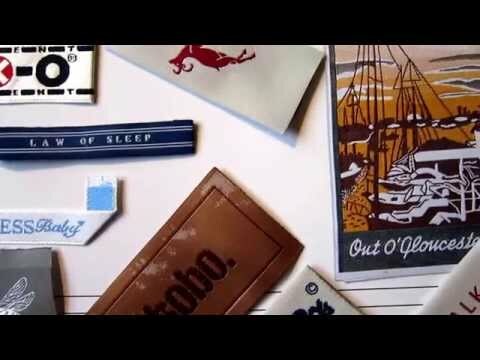 Do you like to take your home-made hobby craft products to the next level? 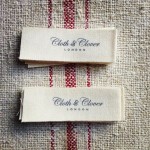 We offer high-quality woven labels that can give a lovely finishing touch to your home-made products. 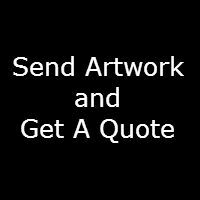 Please send your label design artwork (either JPEG or PDF format) on below email address to our sales team; we will offer a quote for your label design and start customizing sew-in woven clothing labels and craft fabric labels that fully features the brand of your textile products.